Stirring Trouble Internationally: Who Are ‘The Who’ And What’s The Significance Of Quadrophenia? Who Are ‘The Who’ And What’s The Significance Of Quadrophenia? Freddie Matthews writes from London about the announcement of a new tour promoting a new album in conjunction with Quadrophenia. Freddie's surprisingly looks deeper into the rumours about The Who on tour again. It’s not just any old tour but they’re performing their iconic 1973 double album Quadrophenia, from start to finish. By all accounts the remaining 2 original band members, Roger Daltrey and Pete Townsend, as well as the rest of the band, will also perform many of the old and bold classics to help bolster the set list. Roger Daltrey Keith Moon, John Entwistle , The Who My Generation Pinball Wizard success in the US in 1969 thanks to the movie and album Tommy. 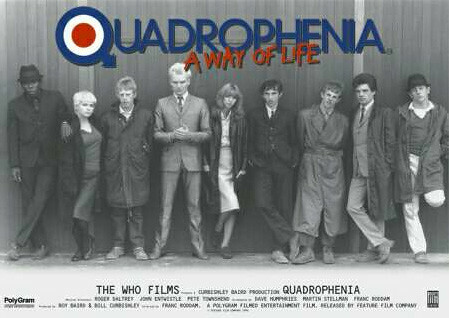 Quadrophenia 1973 The Who, Tommy an interesting part of British culture that spurred a new style of fashion the likes of Noel Gallagher and Paul Weller follow. There are shops in London where you can buy these type of clothing. Led Zeppelin says they liked it in 1973 Quadrophenia album is very popular and was notably revived in 1996. The same thing is happening in 2013 the Quadrophenia tour is directed by Roger Daltrey and is described as attempting to revive powerful imagery from the era and special projector screens to make things look up to date. The tour times are announced over on Stirring Trouble Internationally June 30th Liverpool Echo Arena to find out more dates follow the red link below. The Who Quadrophenia is a music legacy, so why’s it back in 2013?